The disciples asked Jesus, “Lord teach us how to pray.” If you think about it for a moment, they could have asked him anything in the world but they chose to ask him about prayer. It was because they knew that he had a powerful prayer life and deep devotion to his heavenly Father. Jesus was the greatest example of prayer. Prayer wasn’t just a message that Jesus preached, but the life that he lived.1 In between preaching to thousands of people, performing miracles, feeding multitudes, and healing the sick, Jesus still managed to find time to pray in secret. The Gospels tell us that Jesus prayed at every major event in His life: His baptism (Luke 3:21); the choice of apostles (6:12–12); His transfiguration (9:29); before the cross at Gethsemane (22:39–40); and on the cross (23:46). Even now, the Bible tells us that He continues in prayer for us. Hebrews 7:25 says, “He always lives to make intercessions for them.” He sets the example of prayer for us to follow. The secret to Jesus’ powerful prayer life is found in the most important prayer of the Bible, commonly known as “the Lord’s Prayer.” The Lord’s Prayer is the most universally and best-known Christian prayer of all time. It is read at funerals, weddings, and church services throughout the Christian world. Two versions of it occur in the New Testament, one in Matthew 6:9–13 and the other in Luke 11:2–4. 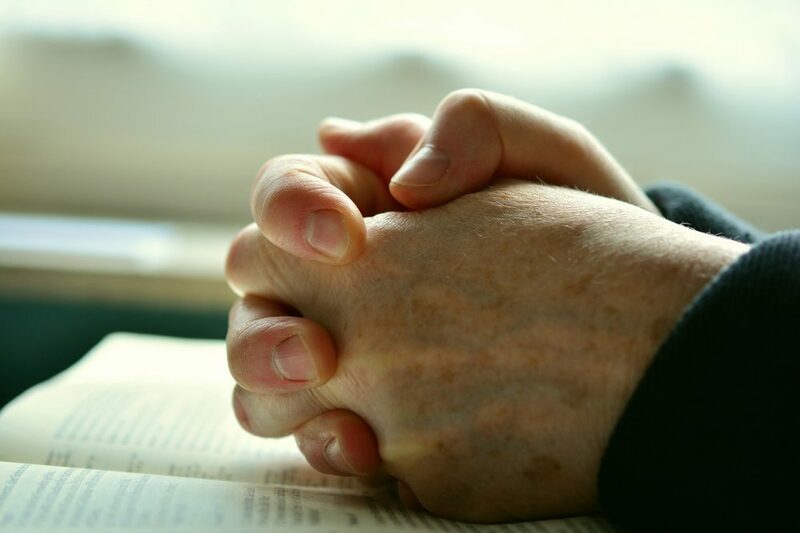 The Lord’s Prayer is also known as the “Our Father.” It contains the heart of Jesus’ teaching on prayer, and offers us an outline by which we can shape our own personal prayer life and learn to pray according to His will. The Lord’s Prayer is a powerful model prayer for families to learn together. It can help shape our personal and family prayer life. A great way to teach your children the Lord’s Prayer is by reciting it every day. Children learn by repetition. In our home, we pray the Lord’s Prayer together at dinner and before bed every evening. Many times, our girls will lead us in saying the Lord’s Prayer. Our church has also embraced the Lord’s Prayer on Sunday mornings by praying it after our time of song worship. Then, our children are also encouraged to pray it together during Sunday school. There are several important things to look at when examining the Lord’s Prayer and applying it to our family prayer life. The Lord’s Prayer begins with acknowledging that God is our heavenly Father. So many people think that prayer is about them, but Jesus reminds us that prayer begins with God, His kingdom, and His ways. True prayer is putting God first and seeking first the kingdom and His righteousness for our lives. Everything else flows from this foundation. Knowing that God is our heavenly Father affects how we pray. We are not praying to some abstract being in outer space, but our heavenly Father. Think about that for a minute. He is our loving Father! The Lord’s Prayer reminds us of who He is and who we are. God is our heavenly Father, and we are His children. As our Father, He loves us and wants to take care of us, and we can come to Him in prayer whenever we need to. The second petition of the Lord’s Prayer is “Hallowed be your name.” To hallow means “to make holy.” The second part of the prayer is to glorify God’s name through praise and worship. In other words, prayer is an act of divine worship that begins by acknowledging God for who He is and praising Him for His mighty acts and greatness. Worship takes our eyes off of ourselves and our problems and puts our focus back onto God and His kingdom. Beginning prayer by offering worship to God helps us keep the proper perspective on prayer. The purpose of our prayer should be to pray for His kingdom to come and His will to be done. Jesus Himself told the Father, “not my will but your will be done.” Prayer is not just coming to God with our own personal agenda; rather it is seeking His agenda for our life and His will. His ways are greater than our ways and His plan is always better than our plans. Sometimes we have to learn this the hard way. Prayer is asking for God’s will. God is not a Santa Claus; He does not give us anything we ask for or everything we want. The reason is simple: God knows what we need not just what we want. We need to distinguish between our wants and needs. Many times the things that we want are not what we need and the things we need are not what we want. One of the reasons why we need to seek His will is our Father knows what is best for us. This is why the Lord’s Prayer says, “Thy will be done on earth as it is in heaven.” His will must always come before our will. One of the best ways to pray for God’s will is to pray according to the Scriptures. John 15:7 says, “If you abide in me, and my word abides in you, ask whatever you wish, and it will be done for you.” If God’s Word is in us then His desires become our desires and we can have the assurance that He hears our prayers. Make sure that your prayers are in line with Scripture because the Lord always honors His Word. A great example of praying according to the Scriptures is reading through the psalms or using the Lord’s Prayer as a model. This prayer should help us overcome our anxieties about life and the future. Many people live in fear of losing their job, their house, or their 401k. We need to understand that it is God’s desire to take care of His children. Philippians 4:19 says, “My God will supply every need of yours according to his riches in glory in Christ Jesus.” Whatever your needs are, don’t be afraid to ask God to help you with them today and trust that He will hear your prayer. The Bible says, “Do not be anxious about anything, but in everything by prayer and supplication with thanksgiving let your request be made known to God” (Phil. 4:6). A supplication is a specific request to God for specific things. Don’t be afraid to ask the Lord in prayer; remember He is your Father. I suggest having a prayer journal so that you will be able to keep track of what to pray for and when God answers your prayers. The next petition is “Forgive us our debts.” No one is perfect, especially me. I need God’s grace and forgiveness every day. Some days I need it more than others. We are broken, fallen, sinful people who desperately need the forgiveness of God. The Lord’s Prayer reminds us that we are able to come before a holy and just God and confess our sins and receive forgiveness. The Bible says that “he is faithful and just to forgive us our sins and to cleanse us from all unrighteousness” (1 John 1:9). It’s important to remind ourselves that forgiveness isn’t just for the lost, but for Christians too. Not only do we need to receive forgiveness for ourselves, but we need to give it away, too. We should freely forgive others as God has freely forgiven us. Jesus gives a significant attention on the importance of forgiving others, “For if you forgive others their trespasses, your heavenly Father will also forgive you, but if you do not forgive others their trespasses, neither will your Father forgive your trespasses” (Matt. 6:14–15). God wants to bring healing and restoration to broken relationships. Earlier in Matthew 5:21–26, Jesus warns us that if we have something against a brother we need to go and be reconciled. The sixth and seventh petitions are “Lead us not into temptation, but deliver us from the evil one.” Temptation and spiritual warfare are realities of the Christian life that we face every day. Therefore, we need God’s help to protect us and give us strength to face these battles. Every day brings with it new challenges and new battles, but the good news is that God is with us. This reminds us that He is not absent or disengaged, but ever present help in time of trouble. The Bible tells us that we are in the midst of a spiritual battle and our adversary, the devil, is like a roaring lion seeking to destroy our lives. Paul says, “For we do not wrestle against flesh and blood, but against the rulers, against the authorities, against the cosmic powers over this present darkness, against the spiritual forces of evil in the heavenly places” (Eph. 6:12). Are you facing temptations, struggles, battles from within or the outside? Don’t grow weary or give up but allow the Lord to help you pray for victory in every area of your life. 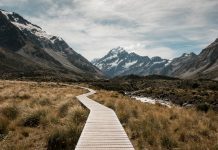 The Lord’s Prayer closes in a way similar to how it started, by acknowledging God’s greatness: “For yours is the kingdom and the power and the glory.” The prayer ends in a doxology and praise to God and call for us to savor in God’s kingdom and His glory. We are so consumed with our plans and busy lives we no longer live in amazement of God’s splendor and greatness. The Bible tells us “be still, and know that I am God” (Ps. 46:10). We need to stop to take time to reflect on God’s greatness in our lives. I have lived for ten years in the Outer Banks, which is a beautiful stretch of islands on the coast of North Carolina. We have some of the most amazing sunrises and sunsets. Usually I don’t take the time to stop and watch the sunset, but I remember one evening when I took the time to pull my car over to marvel at God’s glory and watch an amazing red sunset go down into the ocean. Tears came to my eyes as I thought about God’s greatness. When is the last time you took a moment as a family to pause and reflect on God’s greatness? Take some time and memorize the Lord’s Prayer together as a family. Start by praying it together each day. It may take you a few days or even a couple of weeks to learn the prayer by heart. The sad thing is that the Lord’s Prayer is just words for some people. Don’t let it be dead words, but a living tradition that you pray from the heart. As you go through the Lord’s Prayer, reflect on what each line means. As you go, begin to pray it from the heart as a family several times a day. You can write it on note cards or post it on places like the refrigerator. As you pray as a family, ask your children to help lead in praying. Here are two versions of the prayer that you can memorize with your children. If you found this entry helpful, you’d enjoy Winfield’s book, Grow at Home: A Beginner’s Guide to Family Discipleship. It isn’t a book about parenting strategies. Rather, it’s a book with short, powerful suggestions of discipleship rhythms and practices that can be implemented by families—both parents and children. Get your copy from our store here.